Is it now conducive to introduce new currency in Zimbabwe? FOR many years now, ever since Zimbabwe realised that it was pointless to keep propping up its useless hyperinflation-ravaged Zimbabwe dollar, the rallying call from government has been that the country would "never ever" reintroduce a new currency as long as the economic fundamentals remained not conducive. So far, all signs have pointed to not so bright a future, especially with key stakeholders such as the International Monetary Fund (IMF) sounding alarm bells by revising downwards the country's growth rate and warning that we were headed for a recession. 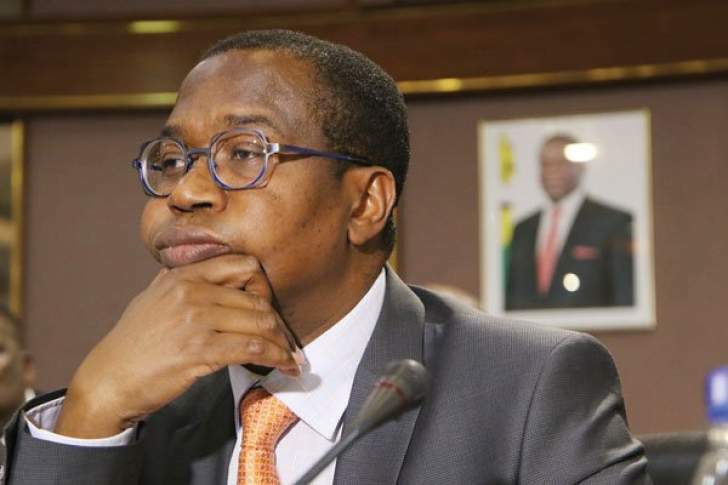 But, hurray, while most of us doubting Thomases are quick to believe institutions such as the IMF and the World Bank, it appears everything is gonna be alright sooner than we had anticipated, according to our Finance minister Mthuli Ncube. The minister, obviously perched at a vantage point like a sentinel, has seen into the future and has now revealed that the country will introduce a new currency within the next 12 months. This is some piece of incredible news for Zimbabweans. Ncube tells us that we are going to have an excellent tobacco-selling season that will rake in billions of dollars in foreign currency. This is despite the fact that the country had a very poor rainy season due to the El Nino-induced weather conditions that led to poor harvests of all crops. Despite the unpredictable vagaries of the elements, we had all remained hopeful of achieving decent harvests and prayed that our fortunes turn for the better. And by no means have we ever wanted to be labelled prophets of doom; nor have we ever sought to pour cold water on our government's sterling efforts. But, we are of the view that sometimes it is more helpful to be honest with ourselves than to pretend to the world that everything is fine, when things are obviously nowhere near to being okay. What we know for sure is that tobacco deliveries have so far been probably a fifth of what was delivered during the same period last year. According to the tobacco industry data, golden leaf sales sat at 1,6 million kg in the first 10 days of trade compared to the 10,9 million kg sold in the first 10 days of last year. Marketing Board tells us that tobacco worth just $2,8 million has been sold in the 10-day period since the marketing season started, compared to the $30,2 million raised over the same period last year. Obviously, it is far too early to think otherwise because the selling season is still young, but this could mean the billions of dollars our Finance minister is hoping to get from tobacco might not materialise. It is this kind of small detail that we think our Finance minister and his colleagues in government should pay attention to before reaching any conclusion. We fear that, without making an honest assessment of our situation, government could be in danger of making fatal and regrettable decisions. Under the circumstances, we doubt whether it would be prudent for the country to introduce a new currency just to ease cash shortages, especially when the current virtual real time gross settlement dollar currency is fast-losing value against the US dollar. We are afraid to say the economic fundamentals are still far from being right to introduce a new currency. Fundamentally, we are not yet producing enough for export to earn enough foreign currency that can stimulate more domestic economic growth. In other words, the currency Ncube is envisaging will simply be mauled by inflation, just like what happened to its predecessor.